For the last few years, traders and investors in Jacksonville, Florida have had legendary trader Hank Swiencinski all to themselves. No longer. 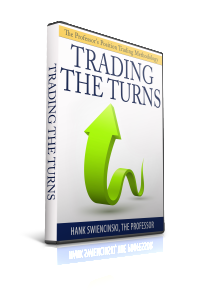 The Professor, as he is known by his clients, has released three of his legendary trading strategies over the last 12 months to a selected audience. Now he’s gone a step further by combining all 3 courses into one package at a special introductory rate. The Professor Hank has been featured extensively on TV and in newspapers in Jacksonville, FL, for his legendary stock trading courses. This limited time offer is only available here! This strategy is equally suitable for novice and experienced traders and once you learn this powerful trading strategy you can use it immediately. 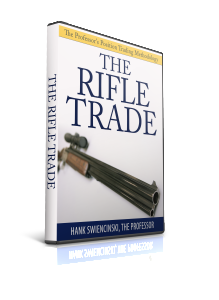 The ‘Professor’s’ Rifle Trade’ uses a combination of technical indicators, that he has thoroughly tested during his 25 years of trading. And they really work. You only have to read the testimonials from The Professor’s clients to realize that what the Professor teaches is revolutionizing how traders and investors manage their portfolios. The Professor’s subscribers have recently been Rifle Trading GILD, USO and OIL to name a few. 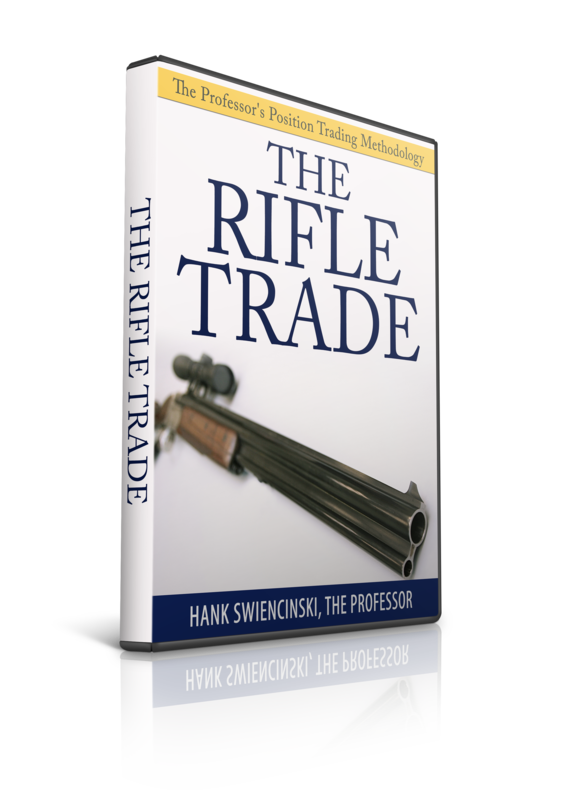 To be successful you need a simple but effective strategy, no filler; that’s what the Rifle Trade is and this your opportunity to join the club. Heads are turning with the latest from the Professor. This amazing strategy will arm you with the tools to turn the tables on your trading with devastating results. One of the more important questions that traders face periodically is to determine when a stock or a market is reversing. How do you know that you’re not catching a falling knife? If you ‘re thinking about buying a stock that has pulled back in a downtrend, how do you know that you’re not catching a falling knife? The reverse is also true. If you buy a stock in an up trend, how can you tell when it still has more upside, or when it’s too late and time to get out? 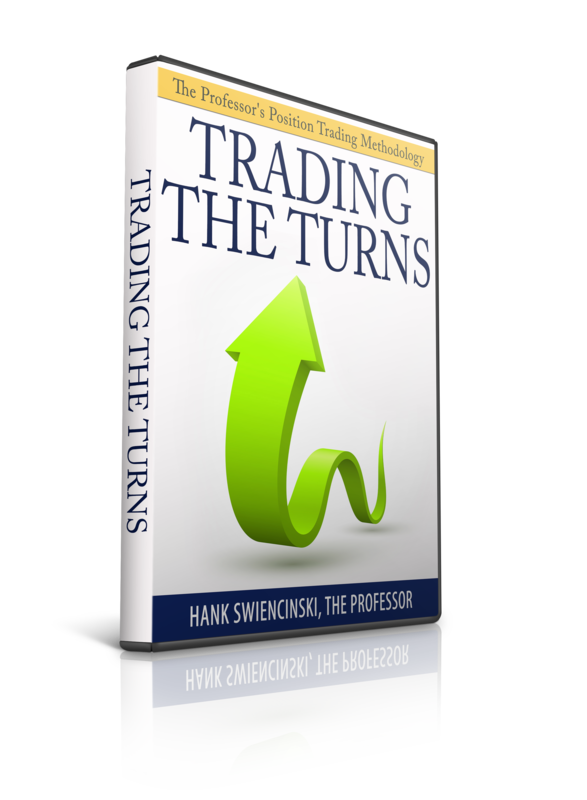 In his Trading the Turns course, the Professor will show you exactly how to make these types of trades. There are several elements to making these trades, and you need all of them in place to be successful. Major trend or false alarm? There’s a certain pattern you’ll need to learn and to look for and also which indicators to use to trigger your trades. Once in the trade, it’s critical you learn how to tell if a major trend is starting or if it’s a false alarm. Without these key trade building blocks, you might as well pick trades at random. The professor has a technique you can learn that predict targets for these trades. You see, some targets are not worth the effort, and some are, so you know which trades to take and which ones to avoid. All this before you even place a trade, now doesn’t seem like the ultimate way to trade? I’m in but how and when do I really need to exit? Suffice to say, there’s no profit until you take the money off the table, and there’s no sense in letting a losing trade ride (and yes not all the Professor’s trades are winners). Here’s where you will learn how to use the Professor’s money management techniques to minimize risk and maximize profits. The Professor also reviews how he used this Methodology to identify all four of the major Up turns in 2013. Each of these four turns identified moves of approximately 1,000 Dow points. That’s almost 4,000 Dow points! In 2013 alone! Hot off the press!! 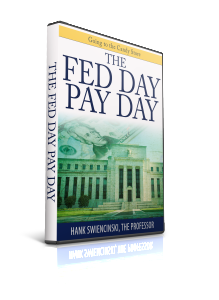 Fed day pay day – learn how to cash in on fed day. 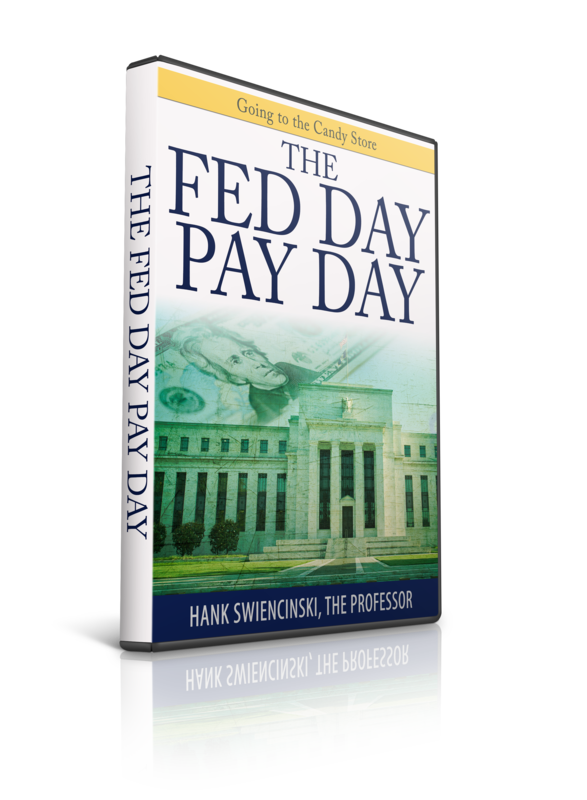 With this simple yet effective strategy you learn how to trade the Fed day and get the bonus 100 point move predictor thrown in. Plus a peek inside the Professor’s algorithm. So what’s with the title? This course focuses on the techniques he uses to trade the markets on event driven days like the Fed Announcement. He calls these techniques ‘Going to the Candy Store’. Like all of the techniques in the Professor’s Methodology, they are extremely easy to understand and apply. Knowing that the Dow will be making a move a day or two in advance can be extremely profitable. It’s almost like going to the race-track with the results from tomorrow’s newspaper in hand. It’s that good! We’re going to give a peek inside the Professor’s most powerful tool, his Algorithm. You’ll learn how he uses The Professor Algorithm to identify the times when the market is setting up to begin a Major Trend. That’s three complete courses, The Rifle Trade, Trading the Turns and Going to the Candy Store. All in one package. PLUS we’ve added two indicators the Professor’s never discussed before in these courses. He’ll reveal how he uses these indicators in his trading process during the Going to the Candy Store course. Hint; one of the indicators was created by Tushar Chandes. Each of these courses sells individually for $299 $99 or more. If you act now we’ll also include the slides for all 3 courses! If you have purchased one or two of these courses previously, please call 1-800-332-2999 or email sales@oneminutestock.com for special pricing to access this deal.